This unique ball closure ring knows how to stand out with its striking colours. 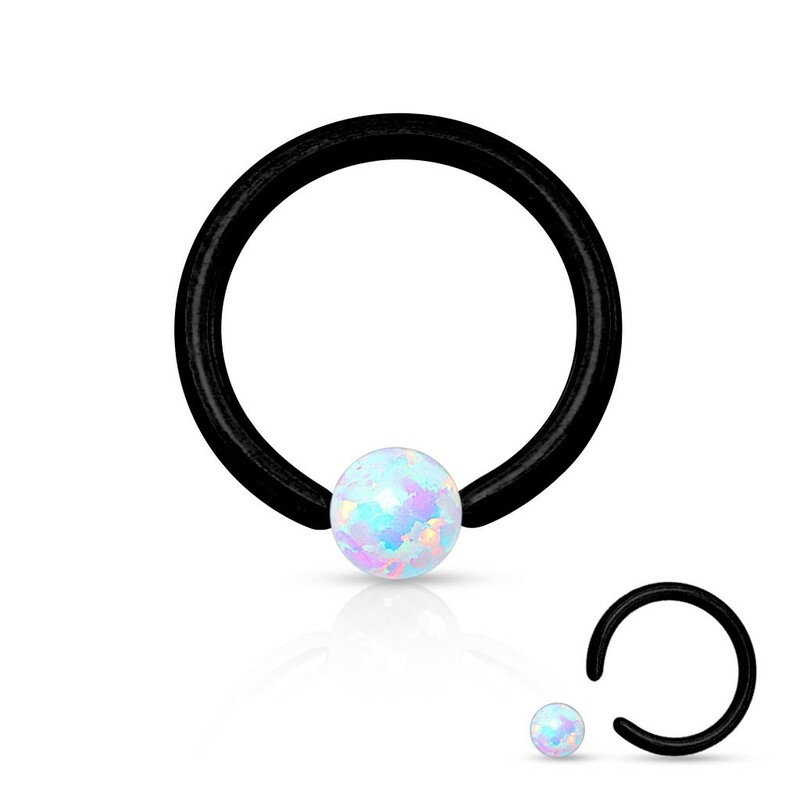 Especially cool is that the ball of this ball closure ring consists of round Opal crystal. Out of the blue, Opal became very popular. 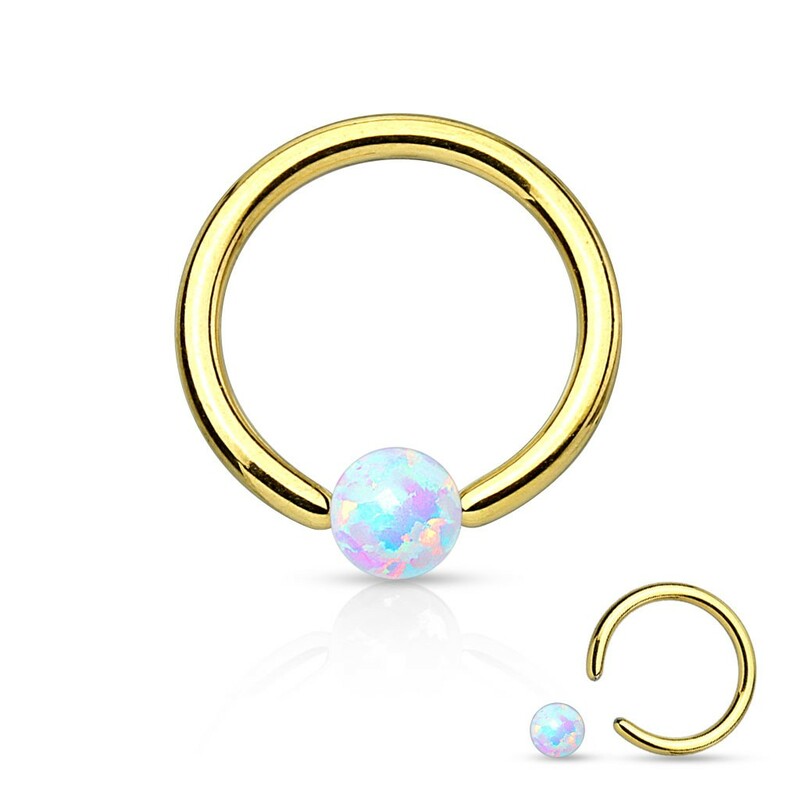 On our site you'll find Opal in nearly all categories. Although Opal normally comes in a range of colours with these rings the stone is white. The ring itself, on the other hand, is available in 4 different versions. Opal stones are quite valuable which explains the pricing of these rings. These rings come with a thickness of 16 GA / 1.2 mm. This makes them especially suited to be worn as ear piercings. 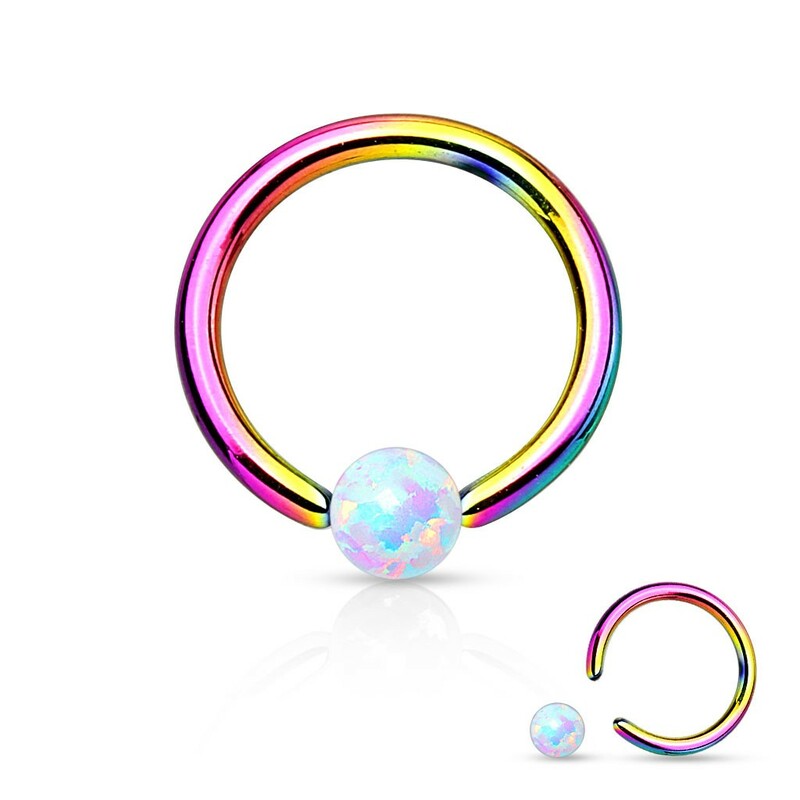 The length of 8 mm makes this ring also especially suited for the helix piercing. Important to remember is that these rings have a body of surgical steel. The colours consist of a plating. Exposing the rings regularly to water, soaps, sweat etc. can wear down the colour exposing the underlying steel.